Since we are heavily involved in the motion picture industry and TV broadcast, we would like to make everyone aware to the fact that the “telecine” process, which is the conversion, recording and scanning of film into video or files, comes in many shapes and forms. Motion picture production and distribution companies utilize multi-million dollar telecine systems to obtain amazingly clear, sharp and colorful images from film. In contrast, the majority of companies specializing in family movies, use much simpler equipment that cannot compare and compete with the high-end systems. 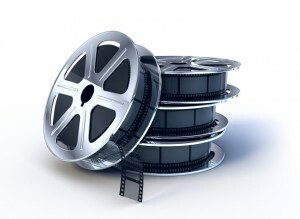 If you are in a position to need a film transfer service for TV and broadcast services, please contact us here. For more information about Different Ways To Preserve Film, please contact us here. Super 8 to Bluray is here!